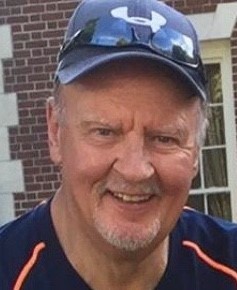 WESTFIELD – Gary F. Bevilacqua, 68, died peacefully at home on April 9, 2019 with loving family by his side. A lifelong resident of Westfield, Gary was the son of the late Nino and Marilyn (Miller) Bevilacqua. Gary was a 1969 graduate of Westfield High School, who later graduated from the University of Connecticut. He then received his law degree from Western New England, and practiced law locally for over 40 years. Most recently, he was a partner at Bacon Wilson PC of Springfield, MA. He is survived by his loving wife of 46 years, Sandra (Frantz), his daughter Tracy Gorny and her husband Eric of Avon, CT, and his son Greg and his wife Ella of Westfield, MA. He was referred to as “Poppy” by his seven beautiful grandchildren; Cole, Shaelin, McKenna, and Brynn Gorny, and Sophia, Gianna, and Nina Bevilacqua. They were his pride and joy and the kids loved spending time laughing with their “Poppy”. Gary was known for his infectious laugh and had a tremendous sense of humor. He was an avid golfer, and a huge sports fan. He loved the Patriots, Red Sox, Celtics, and Bruins. In the past, Gary was a soccer, football, and baseball coach at the youth level. He also enjoyed playing the lottery and never grew tired of his scratch tickets. He always looked forward to his family’s annual summer trip up to Kennebunkport, Maine.